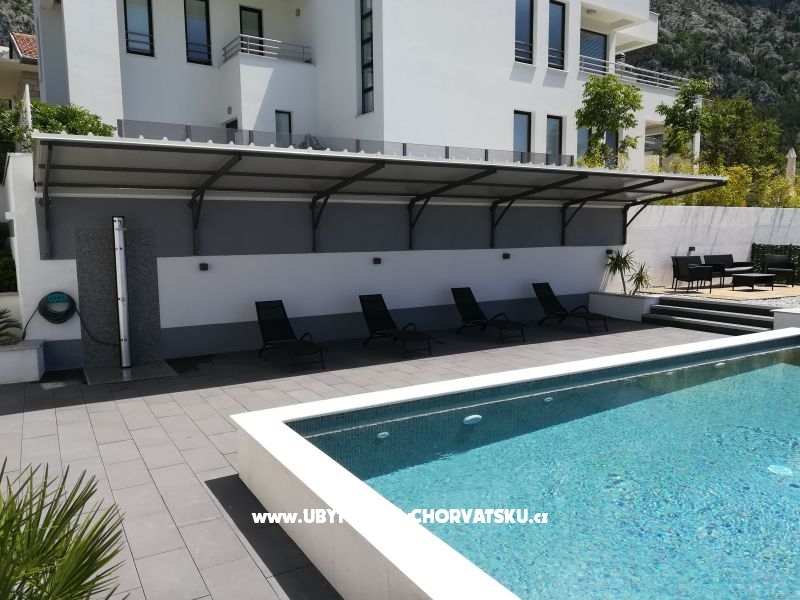 "Apt Samoel" - Modern apartment on ground floor which offers 2 double bedrooms, a kitchen with dining and living room, a bathroom (with shower and washing machine) and spacious backyard with grill and swimming pool. If you are looking for a relaxing family holiday - this is the perfect choice. ABOUT HOUSE This is a modern house on two levels. Its interior offers guest accommodation for 4+1 people in a ground floor unit. It features an outdoor terrace, a fully equipped modern kitchen with dining and living room, two elegant double bedrooms with queen size beds and a bathroom with shower and washing machine. From season 2019. the exterior offers a big backyard with 8x4 meters swimming pool, garden with lounge area, a modern designed barbecue for ultimate grilling experience and an outdoor dining area where everyone can enjoy a delicious meal followed by a glass of local wine. The house offers a parking space, Wi-Fi connection, air conditioning and safety boxes for our guests. 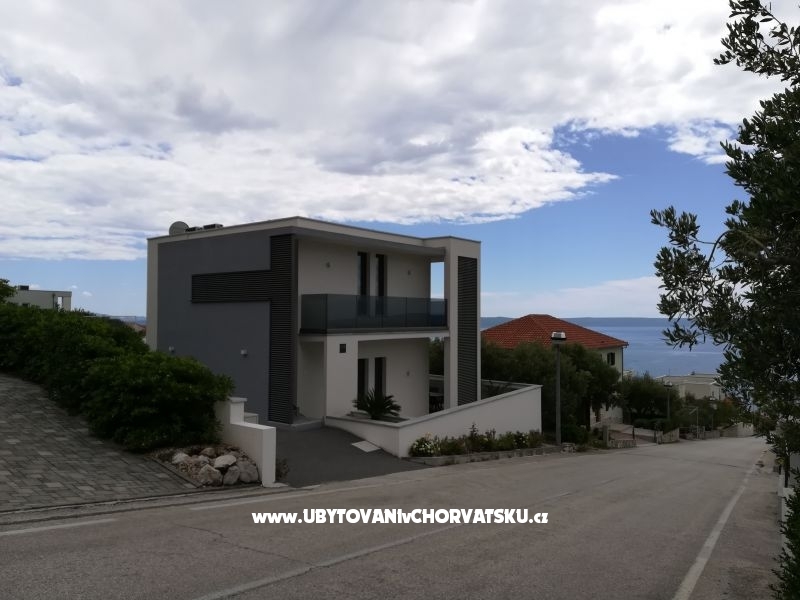 THE NEIGHBORHOOD The house is located in Veliko Brdo, a quiet part of Makarska, where you can relax and enjoy your vacation surrounded by nature. It is just in between the mountain and the sea, so you can enjoy both of the views as much as you like. The famous beach of Makarska is only a short drive (2 km) away. Makarska is a great location to spend your vacation in as it is close to many interesting places you can visit. It is overlooking islands Brač and Hvar, but Vis, Korčula and national park Mljet are not far away either. The nature park Biokovo is just above town and national park Krka is only a few hours away. Old Diocletian's town of Split is within an hour to visit and admire. One of the world's top destinations - Dubrovnik is only 2,5 hours away with car. INTERACTION WITH GUESTS Feel free to speak with us in English, German, Italian or French. As hosts of Samoel Holiday Home - we will meet you on your arrival, explain everything about the house, the town and what to do while in Makarska. 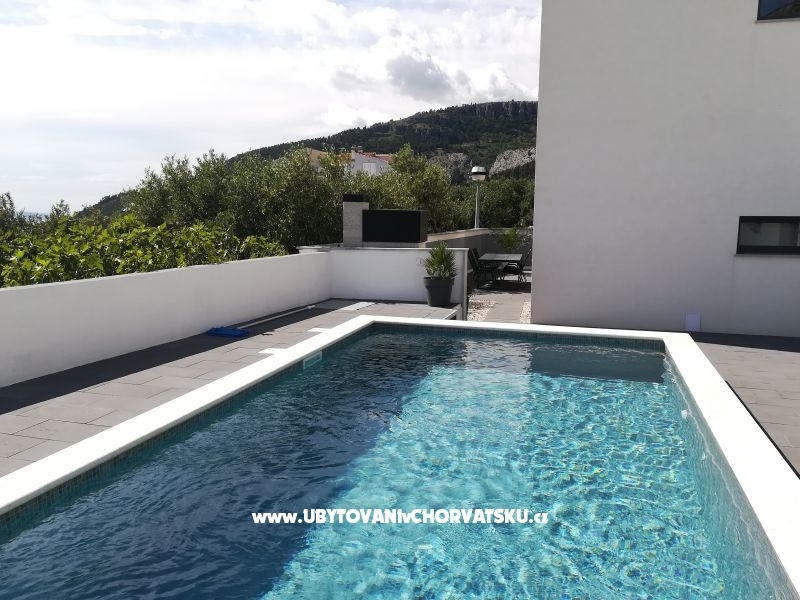 We live in a 1st floor unit, so we will always be available, but we will make sure you have your privacy and that your vacation in our holiday home is a relaxing and memorable one. Szállás értékelések és megjegyzések az "Samoel Holiday Home"